In this article we will be looking at skin tags, as they are a very common bodily feature affecting most people in the world. Someone could easily have between one and a hundred on their body alone.Although they are very common, they can be rather embarrassing, especially when on the face or the neck area. 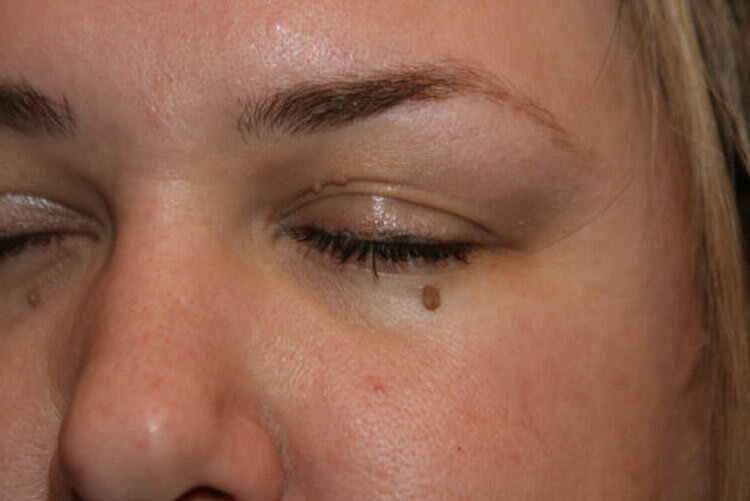 Skin tags can commonly be mistaken for warts. They have a very similar appearance as they are basically growths that hang off the skin. They are usually quite small, measuring no more than a couple of millimetres in most cases. However, some skin tags can be up to a couple of centimetres big. They are usually distinguished by them looking like old excess skin and are either skin colour or brown. There is no specific person who will get skin tags as they can be found on just about anyone. However, they tend to be seen more on older people as their skin is more prone to sagging. Skin tags can just appear for no apparent reason, but in most cases, it is thought that skin tags are caused by the rubbing of skin against clothing or other body parts. This is very similar to how a blister is formed, but skin tags are more likely to be found where there is more skin present on the body. You can normally find skin tags around the neck area, in the folds of the buttocks, underneath the breasts and sometimes on the eyelids. These are all very common places as these are bodily areas where there is constant contact with skin or clothing. Skin tags are just harmless excess pieces of skin that do not cause any harm or damage to the person. They can be unsightly at times but they vary rarely contain any cancerous cells if that is a worry for you. The main problem that can occur with skin tags are if they were to get caught on clothing or jewellery or are scratched off, in which case they can start to hurt and may even bleed a bit. Getting rid of Skin Tags! Most people will want to get rid of skin tags as they are unsightly, however, you will probably have to pay for this surgery as it is classed as cosmetic surgery because you are ultimately altering your appearance. Easier ways to remove a skin tag would be, on the advice of your doctor, to use a piece of dental floss to tie around the skin tag so that it loses blood supply and oxygen and should, in time, fall off on its own. The alternative would be to purchase a product that is suitable for removing skin tags easily and effectively. We are currently looking into, and testing out several popular skin tag removal creams so make sure you check back later to read up on them.